Registration closes on September 19th. Are you ready? Get the rust off and meet some of the coaches in our pre-season open gym time. Pre-tryout gyms available for drop-in by gender and age group. Click here for schedule. NOTE: the $2 fee per person, per session, goes to charity. Note: Tryouts are held for Competitive and the High Performance (HP) teams ONLY – all other programs (such as skill development sessions, youth and city leagues, summer and March Break camps, and beach programs) are filled on a "first-come, first-served" basis. Please note: our tryout schedule may be subject to change due to possible gym permit cancellations. Check your email, our website, follow us on Instagram (@MavsVball) and Twitter (@MavsVolleyball), as we will be announcing any changes to the tryout schedule through those outlets. When signing up for tryouts, please ensure you enter a valid email address that you check regularly (at least until tryouts are over and the signing process is complete). Registrations and payment should be received in advance of tryouts to redice scheduling conflicts. Parents are allowed – and encouraged – to stay and watch tryouts, plus they may be requested to attend a parent meeting (Orientation Presentation) in which details of the Club and various aspects of the team and coaching will be discussed. FEE: $35 online in advance closes at noon on Wednesday Sept 19th, or $45 at the door. The above forms (Page 3-7 only) are mandatory for all who attend tryouts. Please print, complete, sign (parents) and bring with you to the first tryout. You will need these documents at registration table. Page 1 is to be completed only if offered a spot on a team after the tryout period. Note: to be eligible to compete in the 2018-2019 OVA season, Sport Ontario's Respect in Sport (RIS) online certification must be completed by at least one parent/guardian. Please include the RIS certificate number on your waiver form. As noted above: to be eligible to compete in the 2018-2019 OVA season, Sport Ontario's Respect in Sport (RIS) online certicfication must be completed by at least one parent/guardian. You must include your RIS certificate number on your waiver form. The Ontario Volleyball Association 2018 tryout window is September 20 through 30. We encourage all athletes and their families to review and inform themselves on the OVA’s tryout window policy. Complete schedule is posted here. You can select BOYS only or GIRLS only, or select the combined schedule, as you prefer. The selection process will include an assessment of various elements such as physical testing (all age groups), skill assessment (12U - 16U), and game situation assessment (all age groups). All athletes within the same age group and gender will be assessed collectively in accordance with the OVA’s tryout policy. Here are the steps each athlete will follow during the selection process. Offers to athletes will be made by email to fulfill the OVA requirement of a verifyable time-stamp of not before 10pm on September 30th. If the athlete is ready to accept the roster spot, he/she can officially sign upon receipt of the offer. If the athlete needs to review their options, he/she will have 48 hours from the offer to inform the coach of their decision. This 48-hour response window is to allow the coach to inform any alternates that may be impacted by this decision. Athletes and families will attend (location to be determined) to sign and provide their non-refundable deposit. Upon signing and payment of deposit, the athlete will be officially registered as a Maverick player. The non-refundable fee is $35 online in advance (the online option closes at noon on Wednesday Sept 19th), or $45 (cash only, also non-refundable) at the door. • What does the fee include? The fee is non-refundable and includes a Maverick t-shirt, physical testing (4 tests), skill assessment (3 skills) for all but 17U and 18U, on-court practice (1-2 hours), off-court info sessions, athlete questionnaire & a scrimmage (1-2 hours). There are no refunds of the tryout fee for any reason. Each athlete must attend a minimum of 2 tryout sessions. The first will be for the registration, physical testing and skill assessment. The second will include a practice, info session, questionnaire and game situation assessment. Typically 3 or more sessions may occur, and it is highly recommended that athletes attend every session to ensure proper assessment. • What if I miss a tryout? If for any valid reason, an athlete misses any tryout session, they must contact the Head Coach of that age division. If a registered athlete misses the first testing session, there is a scheduled makeup date (Monday September 24th at Franco-Cité 6-8 pm). If the athlete misses a second or subsequent session, please contact the head coach of that specific team to determine if there could be another time available for assessment; the Head Coach has final say in these matters, they are not obligated in any way to provide additional assessment time. If there is a conflict between another Club’s tryout and ours, we recommend that you inform us in advance and we will help you work out any such conflicts to create a solution that maximizes the options for the athlete. • What is the difference between HP and Competitive and Selects programs? The Maverick coaches will assess each player for their suitability to play at either the "High Performance" or "Competitive" or "Selects" level. Parents who wish to downgrade the choice may discuss this with the coach. The High Performance Program aims to maximize each athlete's individual potential, in combination with team fortitude and cohesion, through the addition of supplemental practice and training methodologies (such as nutrition, mental and strength/agility training). HP teams compete more often, and both interprovincially and internationally, and a higher level of time commitment is required. All HP teams are expected to compete at the Canadian National Competition. The Competitive Program is designed for athletes who wish to play the sport at a serious competition level. Competition is usually centred on the OVA schedule. Supplemental local and regional tournaments may be added. Comp teams have the option of competing at Volleyball Canada Nationals in the spring. The Selects Program is part of the Competitive stream and is designed to extend large-group training to selected athletes so they can further demonstrate their abilities before the selection of our final competitive team. Physical testing and skill assessment are at the same time and gyms for all athletes in an age division. The next is a combined practice and game session, during which potential HP candidates will be identified. Any athlete not selected to an HP stream will continue tryouts in the Competitive stream. Be aware that the HP program requires a higher level of time commitment and also travel and is geared for a progression to varsity post-secondary recruitment. Any athlete in the HP stream can opt to change to the competitive stream at any point in the tryout process (no additional tryout cost). • What age groups have Competitive teams? The Maverick Volleyball Club fields gender-specific competitive teams at all age groups from 12U to 18U where sufficient numbers exist. • What age groups have HP teams? Girls: 15U, 16U, 17U, 18U. • What is a pre-HP team? The pre-HP team (pre-high performance team) is an introductory year of the HP format that is offered at a younger level. This offer supplemental training sessions as well as one strength/conditioning session a week. These teams are most likely to compete a few more tournaments than a regular competitive team. Offered at 14U for girls and 15U for boys. • How much does it cost to be on a Competitive (Comp) team? As a non-profit organization, Maverick team fees are cost-recovery only. Budgets set by the Club Financial Officer cover all fixed operating costs, such as: OVA registration and tournament entry fees, team uniforms and practice T's, coaching, and practice requirements (gyms, balls, equipment), and a seat at the year-end banquet. Additional competitions, travel and accommodation are "pay as you go" based on an agreed upon season plan. • How much does it cost to be on a High Performance (HP) team? Maverick HP fees are set by each individual team, within Club parameters, and must achieve a zero-based budgeting outcome. Team budgets are set by the coaching staff in cooperation with, and approved by that team's parent group. 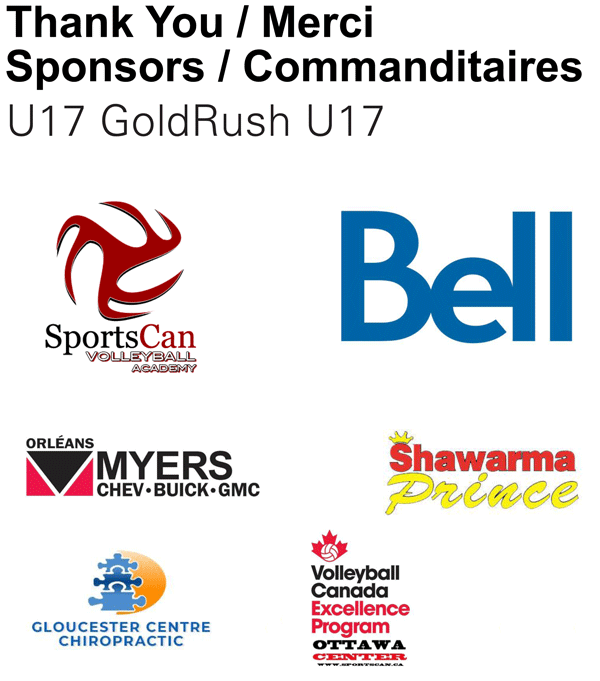 Budgets include OVA registration fees, all tournament entry fees (including Nationals and international or interprovincial play), travel and accommodation to all tournaments, practice requirements (gyms, balls, equipment), team gear, coaching, supplemental training (nutrition, sport psyche, and strength trainers), plus a seat at the year-end banquet. Any remaining balance is returned to the parents at the end of the season. • What age division do I fall into? Players must be under the designated age catergory based on their birth date. • How long is a competitive or HP tournament season? The competitive tournament season starts in Nov-Dec and ends in Apr-May. Once teams are formed, teams start to practice. 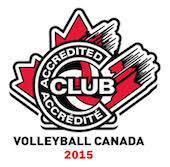 Most competitive teams play up to 4 OVA tournaments (1 day event) plus Provincial and/or Nationals (2-3 day events). HP teams play a few more tournaments (4-5 more), depending on the seasonal budget of each team (which is drafted by the coach following consultation with the parents). If you have any further questions, please send an email to info@gomaverick.ca. OVA rules allow up to two over-age players per team. An athlete born from September 1st to December 31st, may be allowed to play for a 1-age-group-lower team. This does not apply to 19U athletes if affiliated with a post-secondary institution. This OVA guideline is intended to properly evaluate what is best for the athlete and allow them to play at the appropriate skill level. Maverick coaches will assess players on their suitability to "play up" or "play down" as deemed appropriate. • Playing Up: Athletes whose skill level is appropriate for a level above their age, may be selected for an older team. • Playing Down: Athletes born in September through December (only) may be selected for a younger team (1 year younger than their actual age). Click here for the full playing up/down policy details. Make sure your registration information includes a valid email address that you check regularly. THE MAVERICK VOLLEYBALL CLUB STRIVES TO OFFER AS MANY PLAYING OPPORTUNITIES AS POSSIBLE FOR COMPETITIVE ATHLETES. FROM YEAR TO YEAR WE MAY EXPERIENCE DIFFICULTY IN FINDING ENOUGH QUALITY COACHES TO RUN THESE PROGRAMS, WHICH LEADS TO THE CANCELLATION OF SOME TEAMS, AND THIS YEAR IS NO DIFFERENT. PLEASE CONTINUE TO CHECK THE WEBSITE FOR ANY CHANGES REGARDING TEAMS WE WILL BE OFFERING FOR THE CURRENT SEASON. Interested in coaching or assistant coaching positions? The Maverick Volleyball Club accepts coaching applications year round. Visit our Coaching application page for more information.